The acclaimed documentary "Weed the People" will be screened on Wednesday, November 14 at The Naro Cinema at 7:15PM. In the 2017 General Assembly, Virginia voted to join other states with a regulated medical cannabis industry. Now, parents can finally talk out in the open about the ways that cannabis helps -- or could help -- their children with medical conditions ranging from cancer to epilepsy to mental illness to autoimmune disease and more. Join us in Richmond, January 12-14 for the Virginia 2019 Cannabis Conference & Lobby Day. Register now to take advantage of early bird discounts! 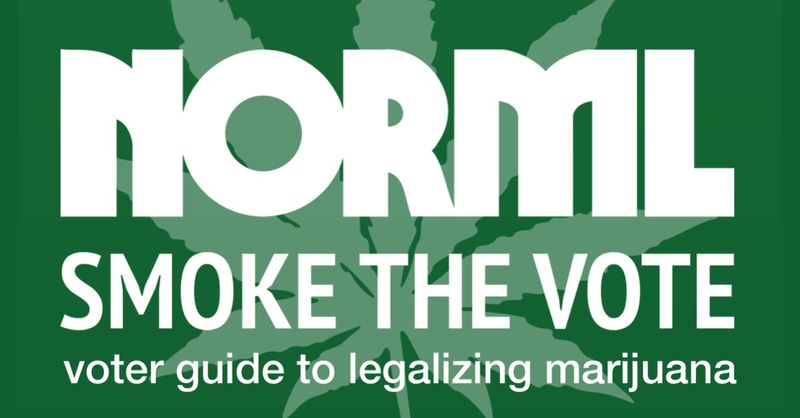 NORML’s Smoke the Vote voter guide makes it easy to learn where the candidates on your ballot stand on federal marijuana policy before you head into the voting booth on November 6. For those of you in the Virginia House of Delegates 8th District, there’s also a special election to replace Delegate Habeeb. We’re always updating the guide with candidates’ statements, so if you happen to catch one that we haven’t, send it our way. Next week O’Connor Brewing Co. in Norfolk is becoming O’Cannabis Brewing Co.
Virginia NORML is teaming up with OBC to present the very first Legalize Virginia Festival. Virginia’s Medical Cannabis Registry is Open! The registration process for Virginia physicians, patients and caregivers is now open. Patients and caregivers with affirmative defense certificates signed in the past 12 months may now register. The previously issued certificate is no longer available and is not sufficient for asserting an affirmative defense without registration. Patients who have not yet received a recommendation must now do so from a registered physician. Share the Emerging Clinical Applications book with your physician and ask them to register today. Virginia Beach, VA: Representative Scott Taylor (R-VA) will address the topic of marijuana reform at Cocktails & Conversation: An Evening of Cannabis Policy at Esoteric on Friday, July 27th, at 6:30pm. The event will include an overview of federal marijuana policy reform progress by Congressman Taylor, questions from the audience, and an update on reform in Virginia from Jenn Michelle Pedini, executive director of Virginia NORML. Friday, March 9, Governor Ralph Northam signed HB1251, expanding the affirmative defense for possession of medical cannabis oils to any diagnosed condition. Here's what this means and how it works. 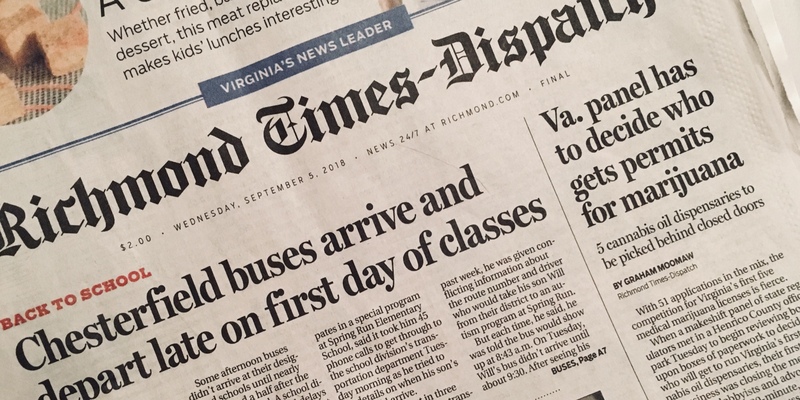 Richmond, Virginia: Delegate Ben Cline’s (R-24) Joint Commission on Healthcare bill, HB 1251, to expand Virginia’s medical cannabis laws, made its final passage in the House of Delegates today and will now head to Governor Ralph Northam’s (D) desk for signature.